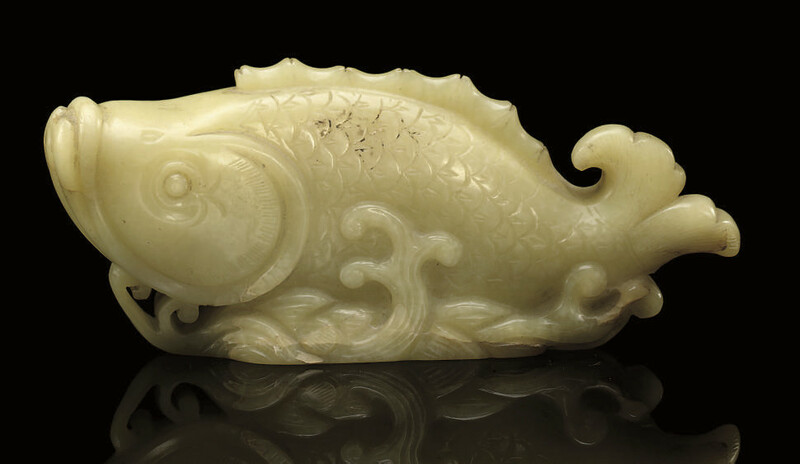 the fish carved in openwork on a scrolling wave base, the head and tail slightly raised, the body curved with naturalistic details -- 4¾in. (12.1cm.) long.